​The Hoop Kid from Elmdale Park is a 45 minute 2D animated action-comedy based on the children's book by the same name. It's a modern day underdog story that illustrates the importance of family, courage, teamwork and community. All Bernard Jones wanted to do while staying with his grandparents in Elmdale for the summer was work on his basketball skills so he could make the freshman team. But when greed threatens to destroy the small basketball town's legendary park, he takes action and attempts to win a big tournament to save it. Courage and determination shine as he and his team try to help restore the town's park and legacy to its previous glory! 1. 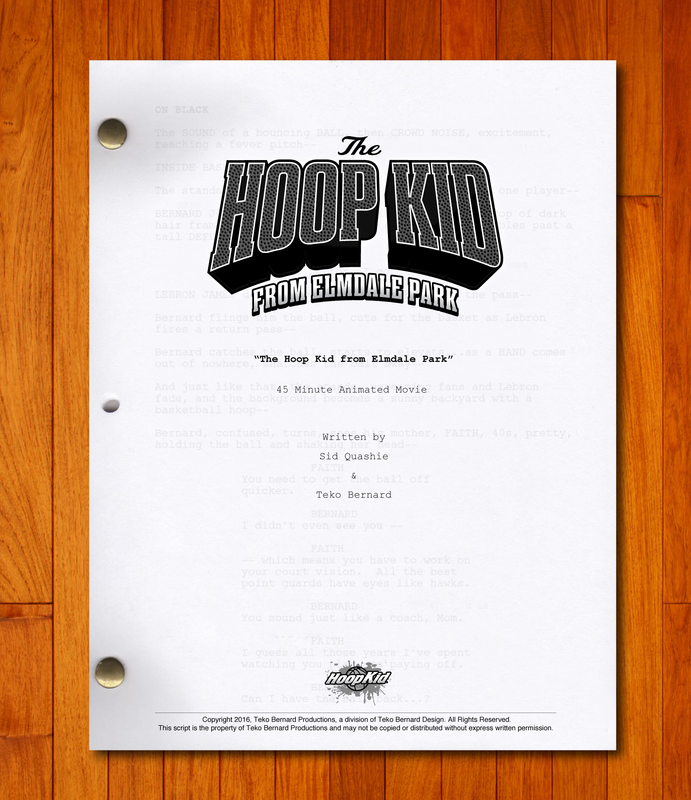 To obtain financial partnership in the creation and distribution of a global caliber animated children’s movie and digital media content based on the children’s novel, “The Hoop Kid from Elmdale Park”. The objective is to produce and distribute the ultimate family entertainment product that kids will love and parents support. 2. To develop content that can be distributed through various digital platforms including but not limited to the potential television broadcast, DVD retail sales, International distribution, VOD distribution, educational curriculum, mobile distribution, event presentations and more. 3. Build a franchise that can be exited through a major studio. The possibilities are limitless when you invest in an original children’s entertainment IP and animated film, not only do you profit from digital content licensing revenues, there’s merchandising, VOD sales, foreign sales and a plethora of other distribution channels that can help investors turn a profit.